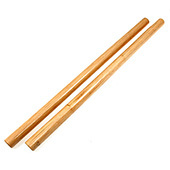 Escrima Sticks also known as stick fighting, is a martial art that was brought to the U.S. by Filipinos and is believed to date back to 1521 when the Spanish began to colonize the Philippine Islands. It was a tradition handed down from generation to generation, differing from region to region. 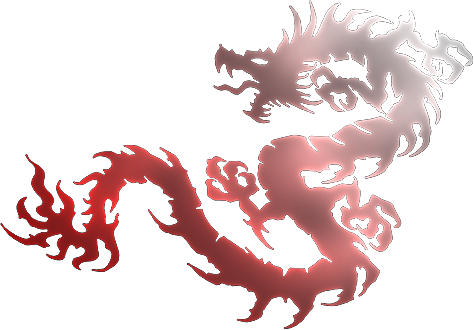 Although escrima was a traditional recreational activity, the Spaniards eventually banned the study and practice of the martial art. However, when the U.S. took over in 1898, the ban was lifted. 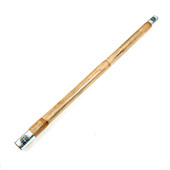 Escrima sticks are the weapons used in this popular martial art. 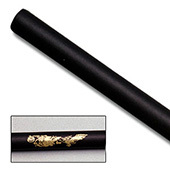 Not all are made for fighting, so it is important to purchase the type that work for your intended purpose, whether it is training, demonstrations, or competition. 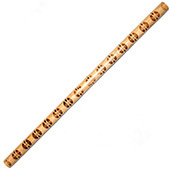 AWMA escrima sticks are available in a variety of colors and styles. We offer natural wood construction including pine, rattan, bamboo, and cocobolo, in addition to fiberglass and foam practice versions. 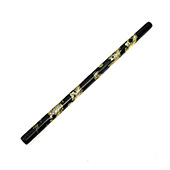 Some styles also offer additional features such as holographic ends, with or without grips, and come in a variety of lengths.